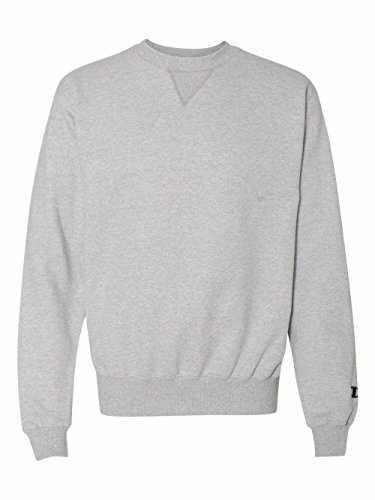 V-notch crew neck with full athletic fit. contrast half-moon facing at back neck. Oxford Gray is 85% cotton, 15% polyester. "C" logo above left cuff.